People are more apt to work for, endorse, or invest in the company of a self-reliant female leader than a self-reliant male leader. This study should bolster aspiring female leaders with the confidence to highlight their narrative of self-reliance as one pathway to achieve their professional goals. From the political arena to Silicon Valley to the financial sector and beyond, women who aspire toward leadership positions frequently struggle with stereotypes about their competence and abilities. Research has shown that people are predisposed to believe men are more capable leaders than women,1 and women with assertive or dominant characteristics are often viewed in a more negative light than their male counterparts. New research from NYU Stern Professor Rebecca Schaumberg finds that this perception is reversed for female leaders who exhibit self-reliance – the capacity to self-govern and control their own outcomes. 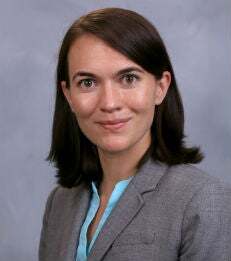 In this first-of-its-kind study, Professor Schaumberg and her co-authors aggregate multi-rater evaluations of perceived leadership ability by manipulating the gender and personality traits (e.g., self-reliant, assertive, etc.) of anonymized leaders. People are 5 times more likely to invest, endorse, and desire to work for self-reliant female leaders than self-reliant male leaders. People are 3 times morel likely to invest, endorse, and desire to work for self-reliant female leaders than “other/neutral” female leaders. On the other hand, the self-reliance trait does not have any positive impact on male leadership evaluations. In fact, self-reliant men are more often viewed as cold, socially distant and non-communal, qualities inconsistent with strong leadership. The paper, “Self-Reliance: A Gender Perspective on Its Relationship to Communality and Leadership Evaluations” is forthcoming in an upcoming issue of the Academy of Management Journal. 212-998-0202 or jsavarese@stern.nyu.edu or Niamh Roberts at 212-998-0615 or nroberts@stern.nyu.edu. 1Ridgeway, C.L. 2001. Gender, status, and leaderhip. Journal of Social Issues, 57: 637-655.